For additional details, see our Help Wanted page. Mar 29, 2019 The Lot Owner's Guide and the Rules & Regulations brochures have been updated. Jan 20, 2019 The online Directory of the Dead monthly update has been completed. Oct 25, 2018 The Board of Trustees welcomes new member Terry Thorkelson. He replaces the retiring Conrad Bye, to whom the Board expresses its appreciation for his many years of service. Aug 13, 2018 Over 30 people participated in the Brainerd History Week cemetery walking tour on August 11, led by John Van Essen and Duane Blanck featuring WW I veterans and nurses. July 30, 2018 The 2018 Annual Meeting was held on Tuesday July 24. Click on the Annual Meeting link in the menu for further details. May 26, 2018 READER OPINION: A letter to the editor from Duane Blanck about our staffing cuts and thanking volunteers for the work that they do was published in the Dispatch. May 22, 2018 A link to the 2018 Annual Letter has been added in the Donations section. May 18, 2018 Memorial Day hours have been announced. Apr 16, 2018 Big snowstorm over the weekend! Spring will be a little late this year. July 18, 2017 The 2017 Annual Meeting was held on Monday July 17. May 22, 2017 Updated regulations for Grave Decorations have been posted at the vehicle entry gates for Evergreen and Memorial Gardens Cemeteries. A printable version is available for download from our Brochures and Guides page (see menu, above). Apr. 17, 2017 The Board of Trustees welcomes new member Susan Koering to the Board. July 18, 2016 The 2016 Annual Meeting was held on Monday July 18. June 18, 2016 Over 40 people participated in the Brainerd History Week cemetery walking tour led by John Van Essen and Duane Blanck featuring residents with homes or businesses in Northeast Brainerd more than a century ago. Sep. 28, 2015 Executive Director Karen Lentz attended the Minnesota Association of Cemeteries annual convention September 23-25. Aug. 24, 2015 PRESS RELEASE - Annual meeting held; Don Crust retirement; New board member wanted. July 21, 2015 The 2015 Annual Meeting was held on Monday July 20. July 12, 2015 On Sunday evening, a supercell thunderstorm system swept through the Brainerd area. Evergreen lost 28 trees, mostly in the Historic southernmost section of the cemetery. (you do not need a Facebook account to view the album). 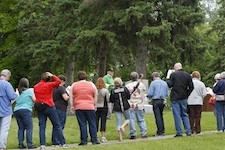 June 16, 2015 The Evergreen Cemetery Association participated in Brainerd History Week 2015 by hosting a walking tour on June 16 featuring the gravesites of residents who lived in historic northside Brainerd homes more than a century ago. Over 40 walkers participated in tours led by Duane Blanck (photo at right) and John Van Essen. June 15, 2015 Bruce McComas has been appointed to the Board of Trustees. May 23, 2015 A web page for the 2014 History Walk has been added with links to the materials used and photographs of the event. May 19, 2015 Memorial Day hours have been announced. Apr. 20, 2015 We now have a web page for our Columbarium. See the menu, above. Feb. 06, 2015 PRESS RELEASE - Evergreen Cemetery Board of Trustees welcomes Blackwell-Kraft and seeks another. Jan. 25, 2015 Evergreen Cemetery was featured in the Jan. 21 New England Historic Genealogical Society newsletter. Nov. 18, 2014 Denise Blackwell-Kraft has been appointed to the Board of Trustees to replace retiring board member John Krueger. Nov. 13, 2014 PRESS RELEASE - Minnesota Association of Cemeteries elects Lentz as vice president. Sep. 20, 2014 Executive Director Karen Lentz attended the Minnesota Association of Cemeteries annual convention September 17-19. July 21, 2014 The annual meeting of the Evergreen Cemetery Association was held Monday, July 21, 2014. Gary Bluth was elected to replace retiring board member Robert Tusler. June 19, 2014 A "History Walk" tour conducted as part of 2014 Brainerd History Week events was well-attended despite the rainy conditions. Feb. 22, 2014 The Brainerd Daily Dispatch has a nice article about Superintendent Rusty Billman's 25 years of service to Evergreen Cemetery. Jan. 02, 2013 The 75th Anniversary Booklet produced in 1954 by the Association for the 75th Anniversary of Evergreen Cemetery's founding (complete with pictures) is now available online as a 3.7 MB PDF file. May 28, 2012 See selected photos from the 2012 Memorial Day Parade and Ceremony at Evergreen Cemetery. Oct. 01, 2011 The 2011 Winter issue of the Minnesota Association of Cemeteries Quarterly features an Interview with Executive Director Karen Lentz (220 KB PDF file). Sep. 11, 2011 Retired judge Fred Casey is our newest board member. See the complete list of board members on the Contact Us page. June 15, 2011 Barbara Gavin has begun her well-deserved retirement after nearly 40 years of managing the office at Evergreen Cemetery. We wish her a long and happy retirement! Apr. 11, 2011 Karen Lentz has been selected by the board of trustees to fill the newly-created Executive Director position. Karen will be working with secretary Barb Gavin (who is retiring this summer) and superintendent Rusty Billman. May 18, 2010 Notice to reclaim 50 unused plots has been published in the Brainerd Dispatch. 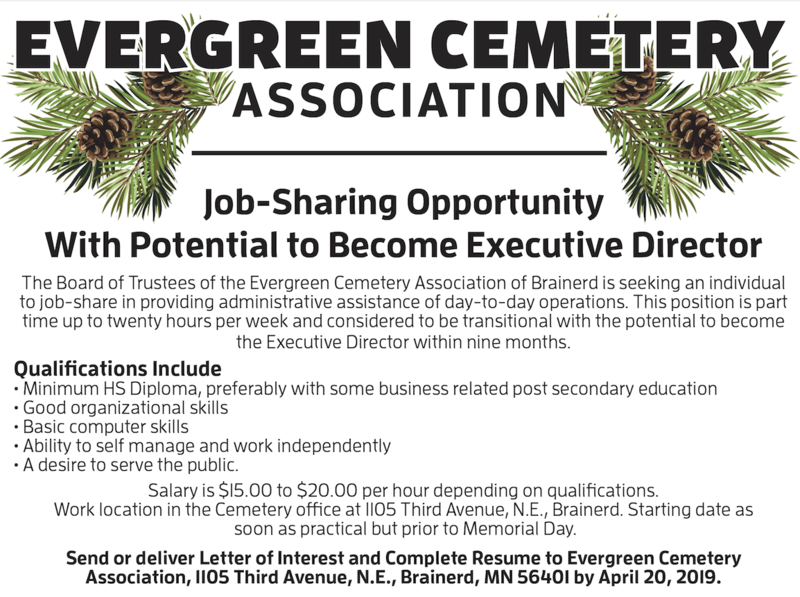 The Evergreen Cemetery Association owns and manages Evergreen Cemetery in Brainerd and the Memorial Gardens Cemetery just north of Brainerd. The Association has been in operation for over a century. In 1870, the Northern Pacific Railway was building out its railroad system westward from Duluth. A settlement called "The Crossing" sprung up where the railroad crossed the Mississippi River and was incorporated as the City of Brainerd in 1871. Early burials in the area were informal but within a few years a location northeast of Brainerd (now within the city limits) became the accepted public burial ground. In 1879, a group of citizens decided that a formal organization was needed to sell lots, record burials and properly maintain the grounds, and thus was born the Evergreen Cemetery Association. The nine-member Board of Trustees has been meeting for over 130 years to oversee the operation of the Association and to preserve the final resting places of the many people buried here. The cemetery has been expanded several times and now occupies over 40 acres with over 17,000 interments. Memorial Gardens Cemetery is just north of Brainerd on County Road 3 and is also owned and managed by the Evergreen Cemetery Association. The cemetery occupies 15 acres (out of 25 acres total) with over 2,000 interments. The Association Office is adjacent to Evergreen Cemetery at 3rd Avenue NE and K Street in northeast Brainerd. The 3rd Avenue entrance for Evergreen Cemetery is located there. 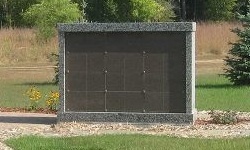 Burial records are grouped by lot owner along with many single grave burials. There is a Directory of the Dead data sheet for each person buried in Evergreen and Memorial Gardens cemeteries. The file for each lot contains a Directory of the Dead data sheet for each person buried in that lot, along with an obituary, if available. Anyone is allowed to provide sheets of additional information for the file, which can then be made available to others who request it in the course of their genealogy research. Basic information is provided for free. This includes the deceased's name, dates of death and/or burial, and grave site location. Other information that has been gathered and included in the Directory of the Dead data sheet is available for $1 per name. Obituaries (if available) and any other pages of additional information will be provided for $1 per page. There is a $5 minimum per request, which can include multiple names. A WPA project in the 1930s involved Evergreen Cemetery. This is when many Directory of the Dead data sheets for earlier burials were created using information from county death records and obituaries (where available). Subsequent burials have had data sheets created at the time of burial. A database created in 1987 contained selected data from many of the records. The end result was a printout sorted by last name of the deceased and included the date of death and the burial location. 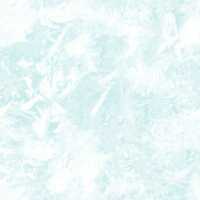 Unfortunately, due to a computer failure, this database no longer exists. But a copy of the most recent printout is available at the Minnesota Historical Society and the Crow Wing County Historical Society. Association Secretary Barbara Gavin, who retired in 2011, undertook the task of creating another computerized index of burials in Evergreen Cemetery and Memorial Gardens. A near-final version of this index is now available in the new online Directory of the Dead (a link to which is in the footer of every page). 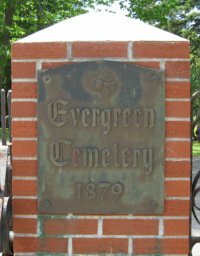 The Evergreen Cemetery Association is a 501(c)(13) non-profit organization and receives no funding from city, state or federal governmental units. The size and age of the cemetery means that the Association relies on donations from generous individuals and businesses to cover the cost of improvements and projects that are beyond normal operating expenses. For the past few years, the Association has conducted a springtime fundraising campaign. Each year, a letter is mailed out summarizing the past year's activities and what we have been able to accomplish with the help of generous donations. The 2013 & 2014 Annual Letters are available for viewing online, below. If you have loved ones buried at Evergreen Cemetery or Memorial Gardens Cemetery and would like to make a contribution to help keep their resting place looking as nice as it does today, please visit the Contact Us page for the phone number to call if you have any questions and for the mailing address to which you may send your donation. A letter of acknowledgement will be mailed back to the donor for all donations. The Evergreen Cemetery Association is listed by the IRS as a tax-exempt organization that is eligible to receive tax-deductible contributions. Check with your accountant to see if you may benefit from a charitable contribution deduction on your tax return. The 2018 annual membership meeting of the Evergreen Cemetery Association was held at 2:30 pm on Monday, July 24, 2018 in the Maple/Pine conference room at the Crow Wing County Land Services Building. In attendance were the following members of the Board of Trustees: President Duane Blanck, Vice-president John Boeder, Secretary John Van Essen, Treasurer Gary Bluth, Denise Blackwell-Kraft, Fred Casey, Tom Fitzpatrick and Susan Koering. Also attending were Executive Director Karen Lentz, and Marc Halverson, owner of Brainerd Floral. The terms for board members John Boeder, Tom Fitzpatrick and John Van Essen were up as of this meeting. All three were re-elected to serve new three-year terms. All Board Officers remain the same. See the Contact Us page for the full list of board members, terms, officers and committee members. Our Plat Maps page has links to PDF files for the maps showing the locations of blocks and lots. Evergreen Cemetery at Find-a-Grave has pictures of gravestones. Memorial Gardens Cemetery at Find-a-Grave has pictures of gravestones. List of Civil War Veteran Burials at Evergreen Cemetery at the Crow Wing County GenWeb site. Brenny Funeral Chapels in the Brainerd Lakes Area. Halvorson-Johnson Funeral Home in Brainerd, Minnesota. Nelson-Doran Funeral Home in Brainerd, Minnesota. Brainerd Floral in Brainerd, Minnesota, for planter and urn delivery to area cemeteries (click on Urn Services). Erickson's Greenhouse (Facebook page) in Brainerd, Minnesota, for planter and urn delivery to area cemeteries.